We have grouped together and summarised all of the Comark Catalogues and Brochures on one page, for your convenience. For Product specific literature please refer to the ‘Support’ section of individual product pages. 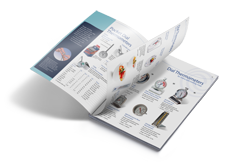 Comark has produced a generic Product Catalogue designed to give you an overview of the Products available, across all Product Ranges. When it comes to the Food Industry, Comark has a wealth of experience that it has put into it’s product offerings. Here are a selection of Brochures associated with the Food Industry and the products that we make for Foodservice, Food Processing and Food Storage in mind. Comark has a proud heritage of involvement with the Healthcare Industry and has developed a number of Products specifically for this sector. The Comark RF500 Wireless Monitoring System is extremely versatile and lends itself to a wide variety of applications and industries. The Comark RF300 WiFi Monitoring System is designed to suit a variety of industries and installation sizes. The Comark range of Pressure Meters is suitable for gauge or differential pressure and positive or negative (vacuum) pressure measurement. These instruments are ideal for applications like H & V, process pressures, laboratories and clean rooms, through to service and maintenance and the calibration of other instruments. Dial Thermometers are the proven, handy kitchen thermometers, that suit a wide variety of purposes. Thin Tip (Pocket Digital) Thermometers are the proven, handy kitchen thermometers, that fully comply with the FDA Food Code.